NIH: Nurse with Ebola "very fatigued" but "in good spirits"
The first nurse to be diagnosed with Ebola after treating an infected Liberian man at a Dallas hospital is in fair condition and in "good spirits," a doctor at the National Institutes of Health said Friday. 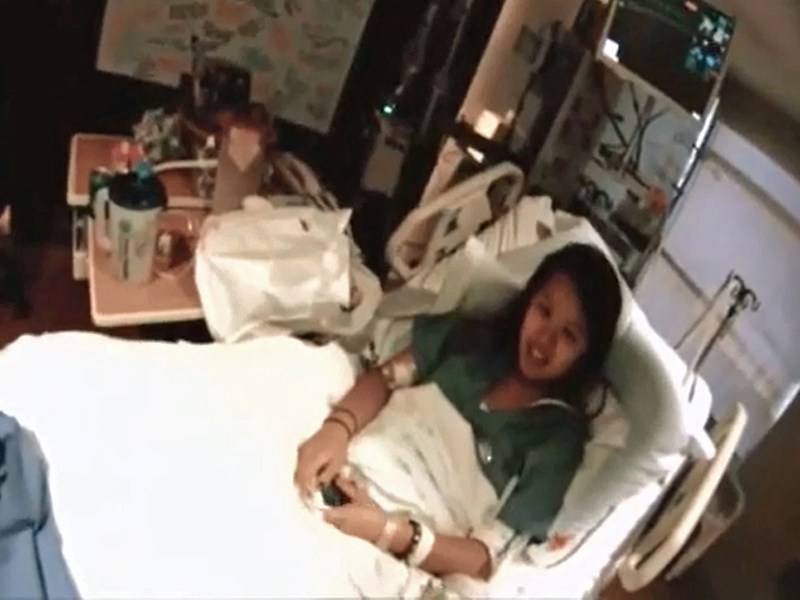 Nina Pham was transported to the NIH Clinical Center near Washington for treatment in a specialized isolation unit. The NIH campus is in Bethesda, about 35 miles from the Frederick Municipal Airport where she arrived shortly after 10:30 p.m. EDT. Dr. Anthony Fauci, director of the Institute of Allergy and Infectious Diseases at NIH, said Pham still has Ebola symptoms but has been "very brave." "She's very fatigued," Fauci said. "This is a virus that really wreaks havoc on you. This virus knocks you out." Fauci said that Pham arrived at the hospital just before midnight and that he and his staff have been up all night caring for her. Pham is being treated by staff specializing in infectious disease and critical care. Workers are monitored as they put on and remove protective clothing and nurses are working in pairs in Pham's room, with one watching the other to make sure correct procedures are followed. They also limit the amount of time they spend in her room to reduce fatigue. "We fully intend to have this patient to walk out of this hospital," Fauci said. Fauci would not speculate whether Pham would be given an experimental drug, saying that "everything is on the table." Dr. Rick Davey, the deputy clinical director of the NIAID's division of clinical research who examined Pham, said she is "doing quite well compared to what we were told about her status at the other hospital." After Pham arrived in Maryland, reporters, who were kept more than 100 yards from the plane by police, watched the patient in protective clothing exit the aircraft, helped by similarly garbed workers on the ground. The process took about 30 minutes, from the plane's landing to the ambulance's departure, escorted by police cars with flashing lights. A new CBS News Poll has found that positive assessment of the Centers for Disease Control and Prevention has declined dramatically, with only 37 percent of respondents saying the CDC is doing an excellent or good job -- down from 60 percent in a May 2013 Gallup poll.